Guthman, author of Agrarian Dreams, the Paradox of Organic Farming in California and Weighing In: Obesity, Food Justice and the Limits of Capitalism, teaches courses on the political economy of food and agriculture, globalization, and food activism. The award will be presented during the presidential address luncheon at the society’s annual conference in late June, held this year at Chatham University in Pittsburgh. The award’s purpose is to recognize members who have made outstanding research contributions that are important to an aspect of agriculture, food, and human values. The AFHVS was formed in 1987 to promote the study of values issues associated with the production, consumption, and distribution of food, fiber, and natural resources. The society publishes a quarterly journal, Agriculture and Human Values. Guthman has been on the journal’s editorial board since 2007. Society members come from disciplines that range from agricultural production and the rural social sciences to nutrition policy and the humanities. The society describes itself as an organization of professionals dedicated to a discussion of the sustainability of modern agricultural practices, about the criteria for judging risks and benefits of chemical and biological technologies, about the poor’s entitlements to food production in developing countries, and about who will farm in the future and how. Excellence in research awards are not given out every year. The last winner was in 2012 when Patricia Allen, chair of the food systems and society department at Marylhurst University in Portland, Ore., won. 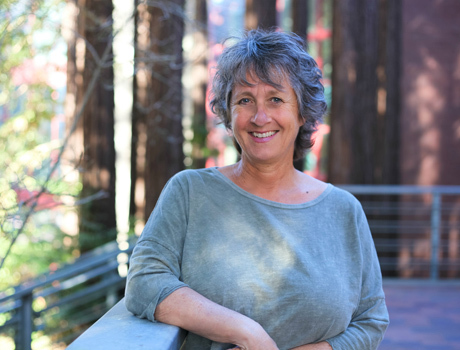 Allen, who earned her MA and Ph.D. in sociology at UC Santa Cruz, was associated with UCSC’s agroecology program for 28 years and directed UCSC’s Center for Agroecology and Sustainable Food Systems from 2007 to 2012. In 1991, UC Santa Cruz hosted the society’s third annual conference.